In 2016, the National Association of Realtors set out to find the new face of their national ad campaign. They wanted a spokesperson who was savvy yet approachable, intelligent with a great sense of humor. Most importantly, it needed to be someone who millennials, that are current and soon-to-be-home buyers, and the greater population, could relate to. The best fit? None other than Phil Dunphy, America's favorite Realtor and star of the Emmy-award winning show, Modern Family. 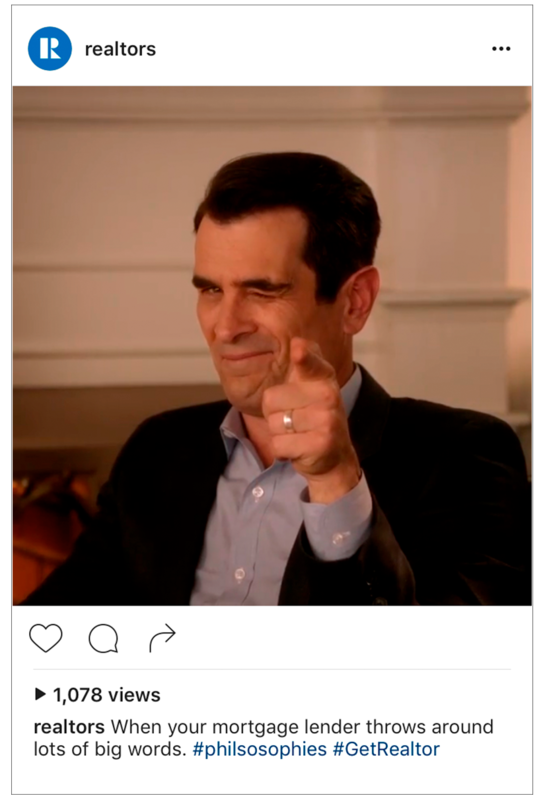 We were approached by NAR to craft a year's-long campaign that utilized Phil Dunphy as our main talent. We made it our goal to create something that was true to both brands; Realtors and Modern Family. Too often you see celebrity endorsements that just don't make sense... this was not going to be like that. The perfect merging of both brands came to life via Real Estate Phil's-osophies. Phil Dunphy's book of Phil's-osophies was introduced in one of their earlier seasons... and brought up every so often throughout their TV run. There was just enough awareness around his "book" of advice, and social chatter already present, that we felt it was the perfect opportunity to create a larger campaign around it. Thus, Phil's Real Estate Phil's-osophies was born. In addition to the :15 TV spots, we created unique content for NAR's social channels in the form of humorous GIFs and videos. Each piece was an extension of the Phil's-osophy campaign, and offered humorous tips and tidbits relating to the home buying process. Our goal was to create content that our target market could relate to and inevitably share with their friends and family during such a stressful time.